Is your girl attending a Sole Girls program this season? Here are our most commonly asked questions for Sole Girls programs. On this page you will find everything you need to know about locations, what to wear, programs, refunds and how you can get involved. If you cannot find the answer to your question please contact us through the form on our Get In Touch page. Thank you! Weekly Sessions: Our after-school sessions run once a week for one hour and 45 minutes. Girls train to run a 5km fun run at the end of the 9-weeks. Camps: We run Sole Girls 2-day camps and a 5-day camps during the Spring, Summer and Fall months. Workshops: We run 2-6 hour Workshops at Schools or Community Organizations. MentHERship Training: ​Our MentHERship Training is for young leaders who want to work with youth and help girls become the best version of themselves. The weather is always changing! ​Please come prepared to be running outdoors as well as doing indoor activities where we will be sitting down. Comfy is key. Top: t-shirt or tank top, and sweatshirt or a long sleeve shirt. Hat (if it is sunny). Bottom: shorts or active wear pants, or capris. Shoes: runners only. Girls must have shoes that they can run in. If this is not possible, please contact us info@solegirls.org. At Sole Girls, girls learn tools for life skills, confidence, being responsible and being healthy in a safe and interactive environment. During the program, girls will mentally and physically prepare to run a 5km fun run at the end of the season. Our Sessions include a Sole Girls t-shirt, Playbook and a healthy snack. If it is raining, a change of dry clothes for afterwards. Full refund minus a $30 administration fee. Pro-rated refund minus a $30 administration fee. The end of season 5km fun run for the girls Weekly Session is depending on location. Once registered, we will provide you the details on which run your girl will be training for.  Your girl has the opportunity to participate in three 5km fun run every year with Sole Girls. ​The curriculum is based on all girls participating in all the sessions in the 8–10 week program. The development of trust and individual training and empowerment depends on all girls participation. If you have a previous arrangement please contact us in advance info@solegirls.org to see how we can best help you. Sole Girls will be expanding into more neighbourhoods soon! Let us know where you are and where you would like to see a Sole Girls program by sending us an email info@solegirls.org. Lunch is not provided during our programs. Girls who are attending full-day Workshops or Sole Girls Camps, will need to bring a healthy lunch with them (unless stated otherwise). At our Weekly Sessions, we do provide a healthy, allergy-free snack like fruit, bars or granola. Yes check out our Day Camps page! Thanks for your interest! Check out Get Involved. We have lots of opportunities for volunteers, coaches, mentors and more.